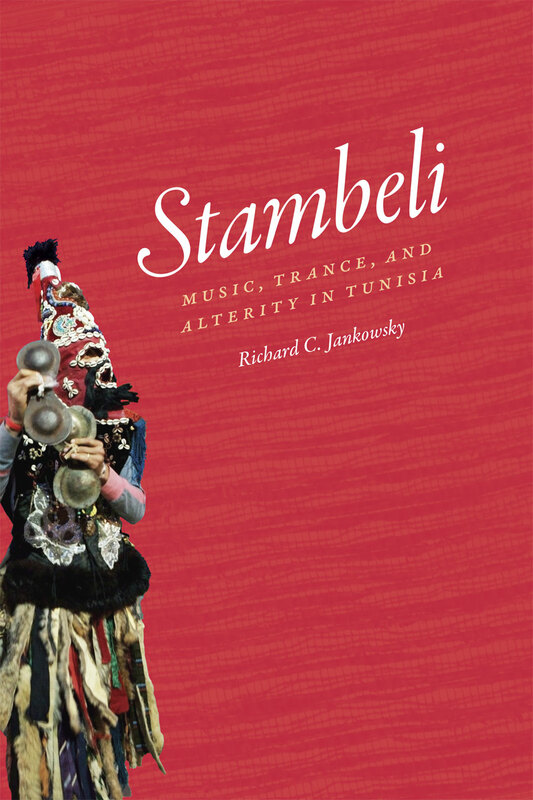 In Stambeli, Richard C. Jankowsky presents a vivid ethnographic account of the healing trance music created by the descendants of sub-Saharan slaves brought to Tunisia during the eighteenth and nineteenth centuries. Stambeli music calls upon an elaborate pantheon of sub-Saharan spirits and North African Muslim saints to heal humans through ritualized trance. Based on nearly two years of participation in the musical, ritual, and social worlds of stambeli musicians, Jankowsky’s study explores the way the music evokes the cross-cultural, migratory past of its originators and their encounters with the Arab-Islamic world in which they found themselves. Stambeli, Jankowsky avers, is thoroughly marked by a sense of otherness—the healing spirits, the founding musicians, and the instruments mostly come from outside Tunisia—which creates a unique space for profoundly meaningful interactions between sub-Saharan and North African people, beliefs, histories, and aesthetics. Part ethnography, part history of the complex relationship between Tunisia’s Arab and sub-Saharan populations, Stambeli will be welcomed by scholars and students of ethnomusicology, anthropology, African studies, and religion.